ManageEngine OpManager maps all the devices in your network to give detailed visual representations of your LAN and WAN. The maps are automatically generated and can be scheduled to always present the latest picture of your network; so you need not go back to creating maps when devices are added/moved/removed. Real-time status of devices and bandwidth heat maps help administrators quickly identify problem spots to then drill down and troubleshoot. The maps can also be exported into Microsoft Office Visio, edited and used for reference at the NOC/datacenter. In addition to providing network maps, OpManager is also a monitoring, reporting and troubleshooting tool for your network. Used by over 8,500 businesses worldwide, OpManager is the flagship product from ManageEngine, the leading provider of low-cost enterprise IT management software. A free 30-day trial copy is available for download, with free support over a toll free number. InterMapper provides an at-a-glance, real-time view of your network devices, services, applications, connections, and traffic patterns. Drilling down on maps and charts uncovers details needed to fix performance problems and keep mission-critical networks up to service level requirements. InterMapper can be used for spotting and fixing performance problems, notifies you that the network performance threshold has been exceeded, makes sure that web, email, databases and other business-critical services are available 24/7 and overall network troubleshooting. Download Spiceworks completely free customizable network mapping software for IT pros in small to medium businesses. *This is NOT a free trial, "freemium", or stripped down verision. * Spiceworks provides access to the entire software suite whether you're a one-person operation or you manage 1,000 network devices. And it's free forever - including live support and all product upgrades! In addition to network map capabilities, Spiceworks software also offers free access to: network monitoring and management tools, a full-featured help desk, troubleshooting fixes, asset management software, power management tools, and an online community of IT pros like you to answer questions, share tips, and solve IT problems. Download today - and share with your peers! SANDeploy Server is a powerful iSCSI target software for Microsoft Windows, that allows you quickly convert any Windows machine became an Multi-Target, Multi-LUN, Multi-iSCSI SAN in less than 1 minute. 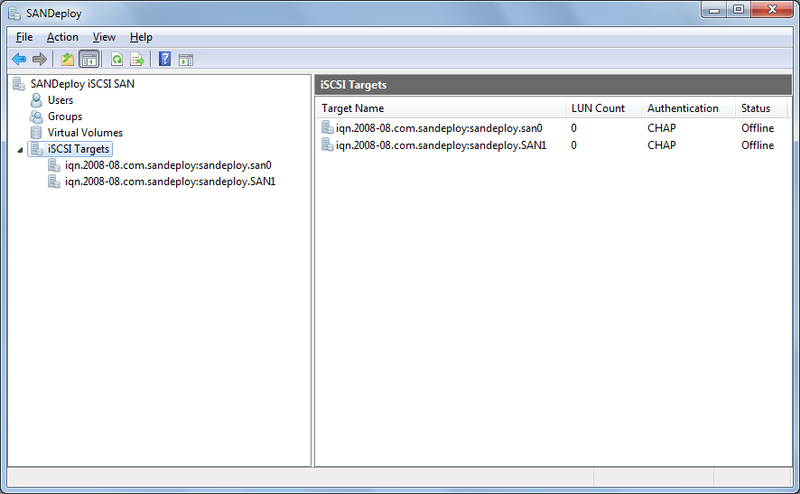 SANDeploy Server was designed for easy configuration, so any user can use iSCSI SAN without expert. SANDeploy Server not only supports the common features but also a lot of features that the others do not have, such as: standard image disk device, physical disk device, physical optical device, virtual CD/DVD-ROM emulator and even SPTI device. Edraw Network Diagrammer provides a common graphics technology for network mapping across departments and disciplines, helping IT professionals transform raw data into visual understanding. Using the Edraw solution, network professionals can; Quickly assemble network diagrams using intelligent, data-driven shapes, Create accurate, up-to-date network documentation, Provide hyperlink to build the relation in Assets, Pre-defined network shapes to build networks, Accurately track assets and costs, Diagram directory hierarchies to produce migration scenarios. WhatsUp Gold Premium edition is a powerful, proactive monitoring and management solution, designed to easily manage networks of all sizes, from SMB to enterprise. It’s tried, tested, and proven on networks just like yours – over 100,000 of them. With WhatsUp Gold managing your network infrastructure 24x7, your life as the network manager just got easier. WhatsUp Gold Premium ensures you have clear visibility, actionable intelligence and complete control to make not only fast decisions, but better ones. When you invest in WhatsUp Gold Premium to manage your network infrastructure, you’re not just buying some software, you’re teaming up with a company that’s been building robust, easy to deploy and hassle free network management solutions for nearly 20 years. 10-Strike LANState is a network mapping, monitoring, management, and administration software for corporate Microsoft Windows networks. LANState generates a network map, which speeds up accessing to remote hosts' properties and resources, and managing those. Scan your network, find hosts, place them on a network diagram, and monitor their state! The program can export network diagram to graphic image, Microsoft Visio, and XML scheme. The program also includes a number of useful features for obtaining information on remote computers. LANState has a rich host monitoring functionality with multiple types of host checks allowing you to see the state of your network at any time. The program displays a network map, monitoring device's state (active/inactive) in real-time. You just click a tray icon at any time, and see which servers and computers are switched on, and which do not respond. Web access is also supported (LANState Pro).